China and its treasures have long been protected, by the Eastern Dragon. 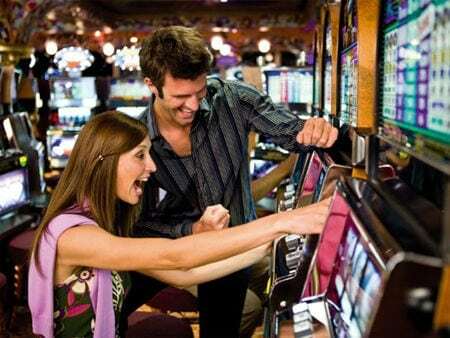 It is now extending its friendship to you, play with phone credit gambling and buy into this worthwhile gamble. So let the fun galore and keep playing. Look To The East And Rise With The Eastern Dragon, A Phone Credit Gambling Game - Register Now! Goldman Casino phone credit gambling site is taking you to erstwhile China to acquaint you with the Eastern Dragon. Pay for it with your mobile phone bill and fly to the eastern edge of the world. A tryst with this 20 payline and 5 reel marvel, will leave you asking for more. Gamble with 0.2 coins/ per spin or 40 coins/ spin and you will leave loaded. The dragon will generously endow you with a maximal reward of 9,000 coins. So be not afraid. Thus, you need not worry at all and just play on. On this mobile phone credit gambling site, as you pay with your phone credit and enter game prepare to be in awe. Though the nine through ace may seem commonplace, wait for the rest and the best. The simple but beautiful things of the Orient await you, the carp and the firecrackers are just the beginning. Lucky coins (also the scatter here) shall rain down upon you. The Dragon symbol is your wild multiplier. Calm yourself with the lotuses and illuminate your path with the Lanterns too. It’s time to make a move to Goldman Casino! Nextgen has tapped into Chinese folklore for this phone credit gambling game. The reel symbols are placed like traditional Mahjong tiles on an ornate Chinese door frame. The bright colours with fine gold borders contrast the white background. The beat of drums and clanging gongs will add spice to the gentle Chinese tones. And gold coins will grace the screen to celebrate the joy of your winning combinations. This simple phone credit gambling game relies on its universal appeal. And you’ll be drawn to it again because of it. Let’s up to the ante. Now that we’ve familiarized ourselves with the dragon’s neighbourhood, let’s explore his lair. Worry not, we have an invite. If the dragon feels more generous, it’ll appear again on reel 1 and 5 and re-trigger more free spins. Now for the gamble, bet on the right colour and double the prize. If you bet on the right suit, you make it 4 times the prize. But beware, you place the wrong bet and the credits of the spin are whisked away. The game is set and the rules are simple. It takes not much, but the rewards are great. Your budget is your phone credit, so play on Goldman Casino this mobile slot game by Nextgen. You have the Eastern Dragon’s assurance.